Turn a piece of cardstock into a gorgeous piece of Christmas glitter art with the help of Abbie's tutorial. The project is easy enough to let little hands help with and pretty darn inexpensive too. It will make a great addition to your Christmas decorations. 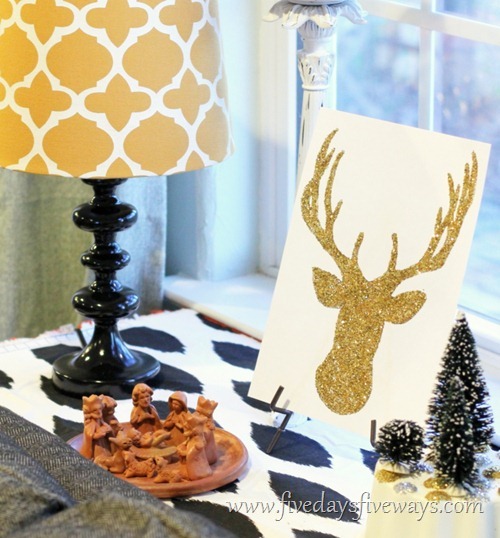 You can check out how to make your own DIY Christmas glitter art over at Five Days Five Ways. She even has a cute Christmas tree template you can get started with.